Ultimate Beach Bus to Zambales & Pangasinan! Book now! It's summer time! Let's frolic under the sizzling sun as we hop around three of the best beaches along the western coast of North Luzon! 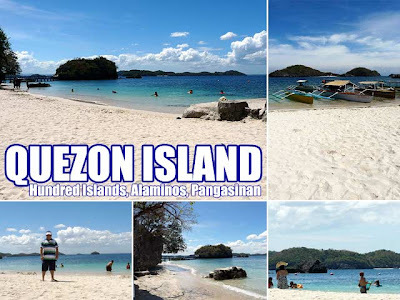 We'll boat around the iconic Hundred Islands and enjoy the white sands of Quezon Island. In Alaminos, we'll eat our way through their yummy longganisas then we troop towards the town of Bolinao, visiting its famous lighthouse while enjoying the sunset at Patar Beach. 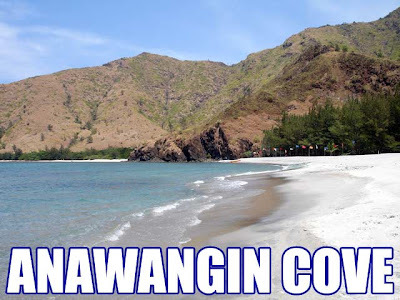 To cap it off, we'll drive down to Zambales to discover her best kept beach secrets: Anawangin Cove and Capones Island. Take a ride on the ultimate North Luzon beach bus experience! And we're pulling all the stops! We're bringing a cook to Quezon Island for example to prepare a sumptuous lunch for you. You'll never go hungry during the whole tour. Ask those who've joined our Pampanga tours. And we'll also drop by some historic sites such as the Masinloc Church and the house of President Ramon Magsaysay in Zambales. What's more, we'll get to watch a classical concert at Casa San Miguel in Pundaquit. But the clincher here is that we'll be staying at the best hotels in town. And did we say we always have a lot of pleasant surprises? The tour fee is PHP15,000 per person (we took out one night but it's still the same power-packed tour) inclusive of transportation, overnight accommodation at, Puerto del Sol (Bolinao) and Punta de Uian (San Antonio), boat rides to the Hundred Islands, Anawangin Cove and Capones Island, and meals. Limited slots available. For bookings and inquiries, e-mail us at concierge@ultimatephilippines.com. I pm u regarding the trip. We are interested. Hi arvee, where did you send pm? Hi, Ivan. I sent the pm to the email address you provided. Hi Arvee, has Spanky replied to you already? If you haven't received a reply, please e-mail me at info@ivanhenares.com. Thanks! to be honest,i only started reading your blog 2 dyas ago.it begins out of my love of travelling but none of my friends are intersted.my qestion is,has there been anyone who traveled with you all by themselves?